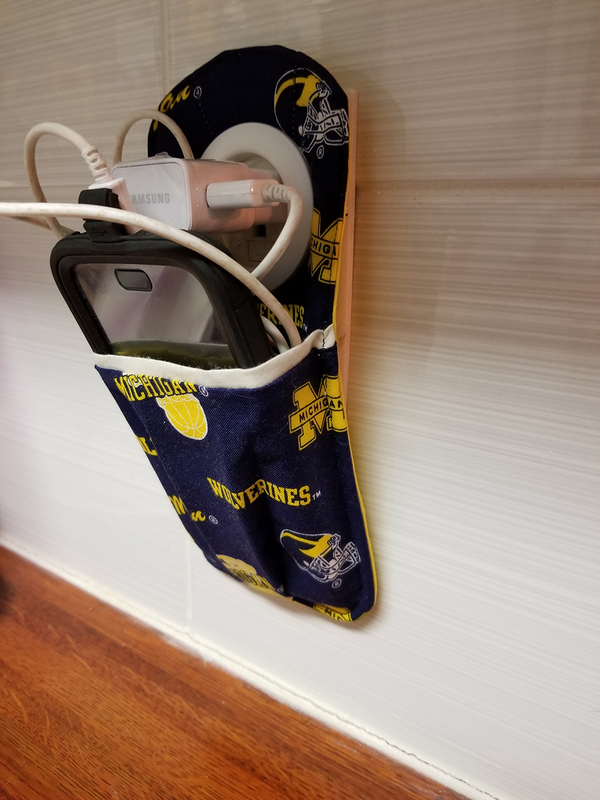 I found this awesome little idea so easy to make! I was going a search for easy-to-sew projects and it popped up on Pinterest, of course. Depending on the size of your phone you may need to make the pocket taller. 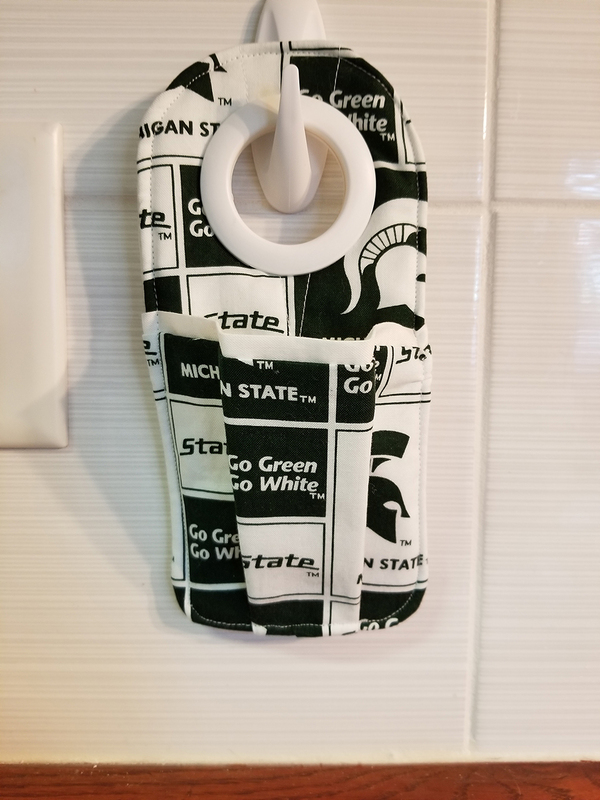 Of course I had to make a kozy for MSU. We are a split household, after all.